HP Proliant ML370 G5, HP Proliant ML370 G6. HP Proliant ML350 G5, HP Proliant ML370 G4. HP Proliant DL385 G2, HP Proliant DL580 G3. HP Proliant DL580 G4, HP Proliant DL585 G2. HP Proliant BL20p G4, HP Proliant BL25p G2. 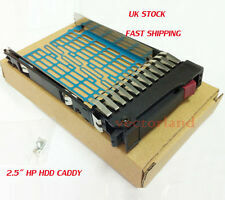 2x 3.5" drive bays and caddies with included key (no hard disks included). Rackmount Rail Kit NOT included. 4GB DDR2 SDRAM. 1 x2x AMD Opteron 2352 Quad Core 2.1GHz 16GB RAM 3-Bay Standalone Compact Server. Processor: 2 x AMD Opteron 2352 2.1GHz Quad core 0S2352WAL4BGH. NO RACK MOUNT KIT INCLUDED. In Good Condition, Full Working Order. 1 x 73GB 10K U320 SCSI Hard drive 3 x Empty. 2 x 256MB RAM 4 x Empty. 1 x DVD-RW Optical Drive. Item has no OS but includes a Windows SBS 2011 Key. Win SBS Std 2011 1-4cpu 5-cal. 32GB DDR3 RAM. 2 x 256MB RAM 4 x Empty. 2 x 36.7GB 10K U320 SCSI Hard drive 2 x Empty. 1 x Server Rails. 1 x DVD-RW Optical Drive. 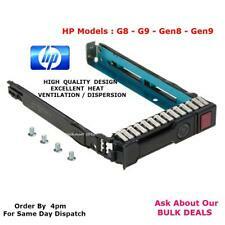 HP G8 DL360p 1U server. 192GB DDR3 PC3-12800R RAM. Processor Type: Xeon Quad Core. HP QLogic QLE2562 8Gbe Dual Port Fiber Channel Card AJ764-63002 W/ SFP - Full Profile. Main Benefits Network Ports Optical FC. Set up the BIOS & Update the drivers. MPN AJ764-63002. Great service. Key Features. Included Accessories Video Cable. RAMDAC Speed 400 MHz. STS Tecom 1U 250B (black). 19 "1UGreen IT Server system. HDD 2 x 1TB SATA. 6 x SATA ports. 1U heatsink. 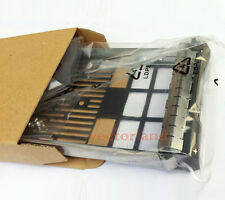 1U BTX aluminium heatsink. Prozessortyp Xeon Quad Core. Speicherkapazität (RAM) 8GB. STS Tecom 1U 250B (black). HDD 2 x 2TB SATA. 19 "1U/1U server system. 6 x SATA ports. 1U heatsink. 1U BTX aluminium heatsink. Prozessortyp Xeon Quad Core. Arbeitsspeicher (RAM) 16GB. STS Tecom 1U 250B (black). Prozessortyp Celeron. 19 "1UGreen IT Server system. 1U BTX aluminium heatsink. 1U heatsink. 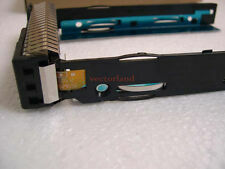 HDD 1TB SATA. Speicherkapazität (RAM) 4GB. Arbeitsspeicher (RAM) 4GB. HP ProLiant SE326M1 storage server 2 x Xeon L5630 QC 2.13 GHz 16 GB RAM 292 GB. HP Storage Server SE326M1 2x Xeon E5645 Six Core 2.4 0 GHz, 16 GB RAM, 600 GB SAS. HP ProLiant SE326M1 storage server 2 x Xeon X 5670 six core 2.93 GHz 16 GB RAM. Connectors: 2 x Gigabit LAN port 1x iLO2 Port 1x VGA. Hard Drives: 2 x 146 GB SAS hot swap 2.5 "hard drives, 10,000 rpm - (up to 25 x hard drives possible)". HP ProLiant DL380 G7 servers 2 x Xeon X 5650 six core 2.66 GHz 16 GB RAM 292 GB SAS. Product information. During that process you will be issued with an RMA number. Comfortable Extendable! TFT Dell Monitor and Keyboard Console for Server Tower. 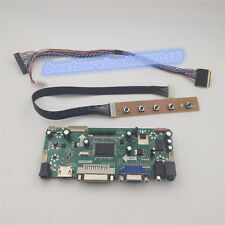 TFT monitor, plus mini-keyboard (German), an optical mouse and the rails (rails for the server cabinet) - the whole needs only about 5 cm high in your server cabinet -. Windows NT Workstation 4.00 1-2CPU. STS Tecom 1U 250B (black). AMD® Opteron® 1385 2.70 GHz. Prozessortyp AMD Opteron 64. CPU AMD Sempron/Athlon dual core/Opteron QuadCore. 19 "1UGreen IT Server system. HDD 2 x 1TB SATA. 1U BTX aluminium heatsink. 1u/1u Rack Server AMD Opteron 1385 Quad Core 2. 70 Ghz 16gb Ram 2 x 2tb HDD 90 . STS Tecom 1U 250B (black). AMD® Opteron® 1385 2.70 GHz. Prozessortyp AMD Opteron 64. CPU AMD Sempron/Athlon dual core/Opteron QuadCore. All electronics have been fully PAT tested by our IT Technicians and are in good working order. Only Tested to bios. Manufacturer: Generic. OPICAL DRIVE: CD/DVD ROM. Speed: 2.4GHz.